It was a fun-filled day in anticipation of the 2013 NBA Draft where the Art of Luxury Series took place at NBA Legend and 2x NBA Finals Champion, Walt "Clyde" Frazier's restaurant, Clyde Frazier Wine and Dine, on 485 10th Avenue in midtown-Manhattan. Hosted by the projected No. 1 NBA draft pick, Nerlens Noel, and International Model, Clarissa Rosario, the Art of Luxury Series was presented by Tene Nicole Marketing and Public Relations, High Flyers Club, 3P Media, and Black Enterprise. The series began with the annual gifting and grooming suite for males – the only male-oriented grooming suite presented during NBA Draft Week. There were grooming items, jewelry, and other trendy products featured, as well as, Eye Vision Clothing, The Parish Nation clothing line, and Lil Wayne's TRUKFIT clothing line. Draft Pick, Victor Oladipo, and University of Duke star, Mason Plumlee, were on-site browsing the suite. 30 special guests wined and dined in a private section of Clyde Frazier's restaurant. Clyde Frazier attended and told me in an interview that he spoke to Nerlens Noel about the upcoming draft. Frazier quoted that "he likes Noel's talents and hopes he does well." He continued with advice for those entering the league "to set a plan, remember those (family, coaches, etc.) who helped get them to where they are today, work on time-management, and have confidence and a tenacious work ethic." Clyde Frazier was thrilled to have the "Art of Luxury Series" held at his restaurant. He shared that he is amazed to see how much the NBA game has evolved, particularly with how much more the younger players are physically equipped as they enter the draft at age 19 in comparison to his 1st round NBA draft pick almost 50 years ago at age 22. The five-star, four-course seated dinner was a great chance for former and current professional athletes, and supportive sponsors to interact with one another and exchange valuable information. Notable figures were in attendance including Former NBA Champion, Craig "Speedy" Claxton and his wife, Meeka, along with actor Sean Ringgold. The series ended with a red carpet and up-beat Philanthropy Mix and Mingle. The lively event benefited the nonprofit organization, Beating Cancer in Heels. Founder, Marlena Ortiz, age 28, who was diagnosed with breast cancer at age 25, created the nonprofit to empower young women who are fighting cancer. Marlena noted that everyone is always fighting for a goal in some type of element. She added, just like those entering the NBA Draft, they have been fighting to get to this level and will continue to fight to have successful careers. Through her organization, Marlena espouses a similar message. She encourages young women battling cancer to keep pushing and to live their lives to the fullest. International Model, Clarissa Rosario; VH1's Love & Hip Hop star, Yandy Smith and VH1's Mobwives star, Love Majewski, were among the many VIP guests celebrating at the Red Carpet Philanthropy Mix and Mingle to bring Tene Nicole's NBA Pre-Draft Art of Luxury Series to a close. Congratulations and best of luck to the 2013 NBA Draft class. The Nets had a 79-73 lead heading into the final period. Brooklyn also led 95-93 after Allen Crabbe's 3-pointer with 4:09 remaining in the fourth quarter, but the Nets could not hold on, missing eight shots in the last four minutes. The Nets got within two points with 1:04 to go after Spencer Dinwiddie hit a pair of free throws, but Indiana answered with five straight points, with 26 seconds left. And, at the end of the night, the Nets were on the losing end for the seventh straight game with a final score, 108-103 and a 19-40 win-loss record on the season. So, what happened down the stretch? 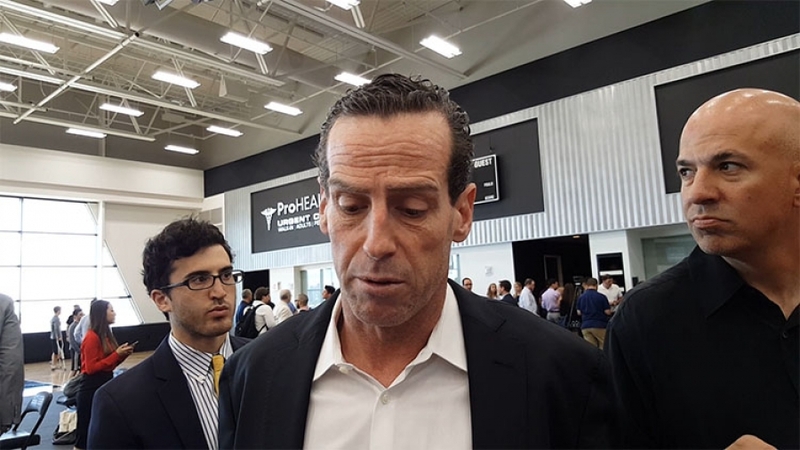 For the second consecutive game, Brooklyn Nets head coach Kenny Atkinson blames the team’s lack of, or, stunted defensive capabilities as a major contributing factor for the loss against Indiana. Allen Crabbe led Nets players who scored in double-digits, with a team-high 24 points (9-of-16 FG, 5-of-11 3FG) and with a career-high-tying eight rebounds. DeMarre Carroll recorded 21 points (6-of-13 FG, 5-of-8 3FG, 4-of-6 FT), 10 rebounds and four assists in 35 minutes tonight. This is Carroll’s seventh game of 20-plus points this season; it matches his single-season career high seven 20-plus point games in the 2014-15 Season with Atlanta. And, there is still time left in this season for Carroll to break his record. D’Angelo Russell posted 18 points and a game-high nine assists in 29 minutes off the bench. Nets rookie Jarrett Allen totaled 10 points and six rebounds in 20 minutes in his ninth career start. Allen has scored in double figures in 10 of his last 12 games. Although Spencer Dinwiddie did not score in double digits, he tallied seven points, six rebounds, five assists, two steals and one block in 33 minutes. Indiana is the second team this week where all five starters scored in double digits against the Nets. For the Pacers, Victor Oladipo led all scorers with 25 points. Corey Joseph scored 15 points and 11 rebounds; former Nets’ player Bojan Bogdanovic put up 14 points and five rebounds; Thaddeus Young, another former Nets’ player, tallied 13 points and seven rebounds; Al Jefferson came off the bench to score 13 points; and starter Myles Turner posted 11 points and 14 rebounds. This was the last game for both teams before the NBA All-Star break. Nets point guard Dinwiddie will represent the Nets in the 2018 Taco Bell Skills Challenge at NBA All-Star Weekend in Los Angeles this Saturday, February 17, at Staples Center at 8 p.m. ET. The event will be televised nationally on TNT. After the break, the Pacers will meet up with Atlanta on February 23rd, while the Nets will play the Charlotte Hornets in Charlotte on Thursday, February 22nd at 7:00 p.m. EST. The calm before the storm settled in at the Barclays Center in Brooklyn, NY Thursday night as the NBA draft prospects sat with their families and mingled with reporters, teammates and agents. The draft picks groomed to a "T" and dressed in their Sunday's best, awaited David Stern to mark the podium for the first announcement. The "Green Room," designated for the draft prospects and their guests only looked like a first-grade class-- all attendees with their chins up, heads forward, hands on the table and all eyes on the teacher (Stern.) Nerlens Noel and Alex Len, two of the top prospects thought to be most likely to go 1 and 2, looked attentively, listening to Stern's announcement. Boos belted out from the crowd, as Stern took the stage. 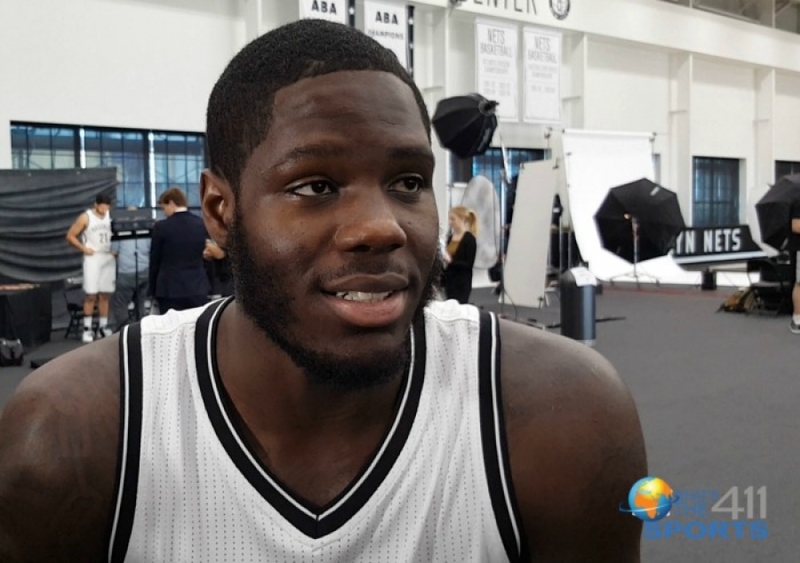 "With the 1st pick of the NBA 2013 draft, the Cleveland Cavaliers select (PAUSE) Anthony Bennett of Toronto Canada." The crowd shocked, exploding with semi-excitement for the guy who sports analysts projected to go 4th or 5th. Bennett, the 6-foot-8 forward and his family jumped to their feet. The 20-year-old, who started playing basketball seven years ago told reporters that he was "just surprised as everybody else" for being picked No. 1. "I didn't really have any idea who's going No. 1 or who was going No. 2. I heard everything was up for grabs. But I'm just real happy, glad that I have this opportunity, and I just got to thank God for the opportunity," he said. After only one year at UNLV, Bennett becomes the second player at the university to be selected the top overall pick, joining Larry Johnson, who was drafted in 1991. Bennett also becomes the first Canadian to get drafted as a No. 1 pick. Too much surprise, Noel wasn't called No. 2, but Victor Oladipo is a guy Orlando fans are sure to fall in love with. Besides feeling delighted for being the second pick of the draft, the former Indiana guard said he's not sure if his family still knows "what's going on." The Nigerian player also has a great singing voice, maybe he'll sing the National Anthem at one of the games. After five picks in Thursday night's NBA draft, Nerlens finally heard his name called when the New Orleans Pelicans selected him with the sixth pick. He barely showed excitement, likely disappointed that five other picks were selected before him. "I'm excited getting started with Anthony," Noel said after hearing his name called. His stint with the Pelicans only lasted for about 30 minutes, after reports swirled that he'd been traded to the Philadelphia 76ers for Jrue Holiday and the NBA's 42nd pick. Other fan favorites like Trey Burke, Otto Porter Jr, Cody Zeller and Michael-Carter Williams also nabbed NBA picks. On social media, the Nets seemed to have been the talk of the night, with rumors swirling that Kevin Garnett waived his no-trade clause, making room for the Boston Big Three trade that could send him, Paul Pierce and Jason Terry to the Brooklyn Nets for the package of players and draft picks. See a complete list of the NBA drafts picks below. In the 4th quarter, with a little over a minute left until the end of regulation, Brooklyn Nets Joe Johnson and Shane Larkin missed back-to-back threes that would have cut what was a nine-point, 83-74 deficit to six. Even with a made shot, the Nets would still have had an uphill climb in capturing the win. However, the missed shots put a spotlight on the struggles the Nets have had this season in late-game offensive execution. On Friday night, Victor Oladipo and Nikola Vucevic each scored 20 points and handed the Nets an 83-77 loss, their ninth straight loss at home and 3rd straight to the Magic. It was the Nets 3rd straight loss (10-26), losing seven of their last ten games while the Magic (20-17) snapped a four-game losing streak. Once again, making plays late when they matter the most, has doomed the Nets. With 6:48 left in the 4th quarter, Brook Lopez shot a floater off of a penetration feed from Larkin. He missed, received his own rebound, fought against Vucevic and got a hook-shot to go, tying the contest at 68 all, two of his team-high 17 points. Following the bucket, the Nets were held scoreless from the field for the next five minutes. At the most critical juncture of the game, the Nets would miss their next three shots, commit two turnovers and worst of all, fail to stop Orlando’s youth movement. Aaron Gordon and Oladipo took turns nailing the coffin, featuring two threes’ from Oladipo and four points from Gordon. Evan Fournier who scored 13 points also added a three in the midst of a 13-2 run until Thaddeus Young stopped the bleeding with the Nets second FG in 5 minutes. During the Magic’s run, Lopez connected on two free-throws while the Nets offense fell flat. “…In the last quarter, we just couldn’t make a play, couldn’t make a shot and again we come away with a loss,” Nets head coach Lionel Hollins said post-game also claiming that he sounds like a broken record. To begin the game, the Nets looked like the team that would eventually lose, falling to an early double-digit lead in the first quarter. In the second and third, the Nets found better results. They battled back by increasing their defensive pressure, got out in transition and shot 80 percent from the free-throw line. They even led by five towards the end of the third and early in the fourth. But they couldn’t hold onto it and the credit goes to the Magic’s defense for not allowing the Nets to build a substantial advantage. According to Young who scored 11 points and nine rebounds, the Nets just have to make plays. Unfortunately, the Nets had trouble finishing their opportunities at the basket. Another reason why the Nets had trouble stopping Orlando was their 3-point percentages for this game. Oladipo, who led the Magic in made threes with four, and the rest of his team drained 13 threes of 27 attempts, good for 48 percent while the Nets could not match, shooting 31 percent from long-range and 39 percent in field goals. After another game, another loss, the Nets are stuck asking about the same problems, and in the end, have nothing to show for it. Until the Nets win the fourth quarter, nights like Friday night will continue to occur and it gets even tougher on Monday night when they host the Southwest Division-leading San Antonio Spurs. On Star Wars night at the Barclays Center, the force was clearly with the Orlando Magic, opposed to the host, Brooklyn Nets. To demonstrate how badly thing went for the Nets, lets skip to the 4th quarter. Nikola Vucevic, Elfrid Payton and the rest of the Magic’s starters sat comfortably on the sidelines while the second unit finished the game because the damage to the Nets had already been done. 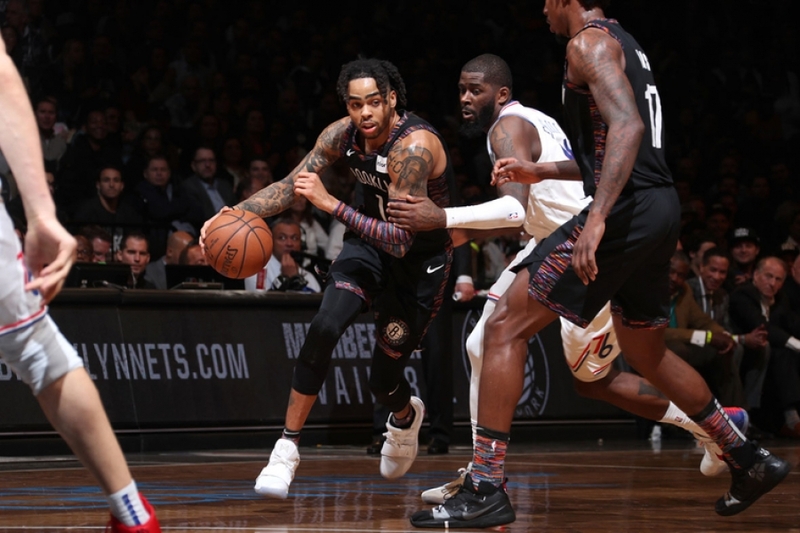 A second half surge revolving around defense, steals, and a consistent offensive effort, enabled the Magic to hand the Nets their second straight loss in a convincing fashion, 105-82 on Monday night. The Magic improved to (13-11) on the season, while the Nets fell to (7-17), their third loss in the last five games. Prior to tonight's game, Joe Johnson told What’s The 411Sports that the Nets would have to get off to a good start and keep their turnovers down. During the first half of the game, Johnson’s pregame strategy came into fruition. The Nets battled with Orlando, keeping it close and competitive, down by seven entering halftime up 52-45. In the 3rd, it all fell apart for the Nets. Their offense struggled to keep up with the young and athletic Magic, and turnovers in addition to bad shooting, prevented the Nets from protecting their home-court. Facing an uphill climb in the fourth down by 14 points, the Nets would miss their first four shots, while the Magic enjoyed a 13-4 run, led by Andrew Nicholson who scored 10 of his 15 total points, in the 4th quarter alone. The Magic converted eight forced turnovers into eight points while the Nets offense couldn’t find their rhythm. Even though six players scored in double-figures for the Nets, Brook Lopez, the team’s best player, on his star wars bobble-head night, wasn’t much of a factor recording 11 points total for the game. 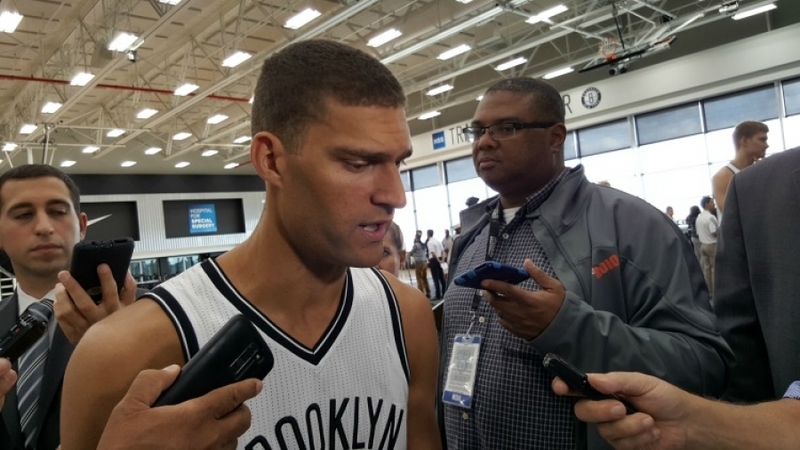 Where Lopez struggled, Vucevic, his counterpart flourished. The former USC Trojan scored his team-high 18 points in 27 min, 12 of which came in the 3rd. All 12 of Vucevic’s points helped extend what was a seven-point Magic lead to a double-digit advantage, setting up the second unit, who served as the clean-up crew in the 4th. Payton, who also had a fine game-scoring 17 points and five assists-torched the Nets on the perimeter. Tobias Harris added 15 points and nine rebounds and Victor Oladipo punched in 10. Thaddeus Young, who finished his night with 10 points, also acknowledged the Nets lack of effort. The Nets, as a team, shot 38 percent from the field validating the Magic commitment to defense, a testament to their head coach, Scott Skiles, who lives and breathes it. When most of your core players are questioning the effort of the team, that’s a problem, and the Nets owning one of the worst records in the league doesn’t make it any better. 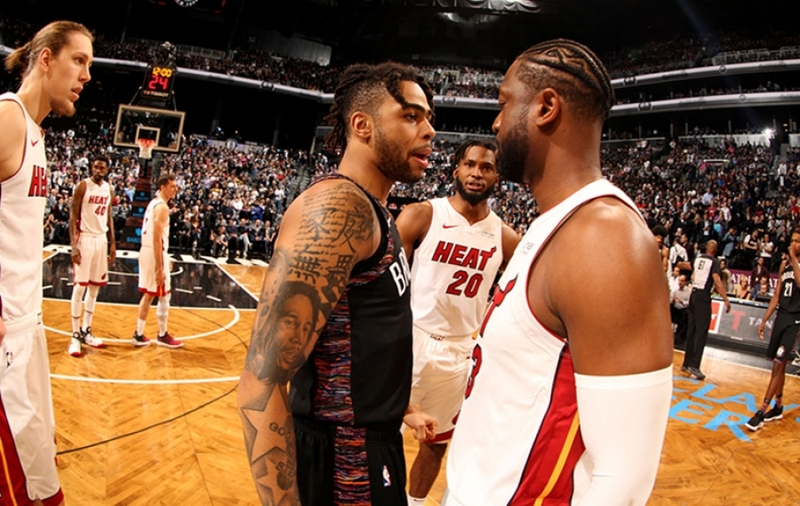 Wednesday night, the Nets will host the (14-9) Miami Heat, who are in a two-way tie for first place in the southeast division. 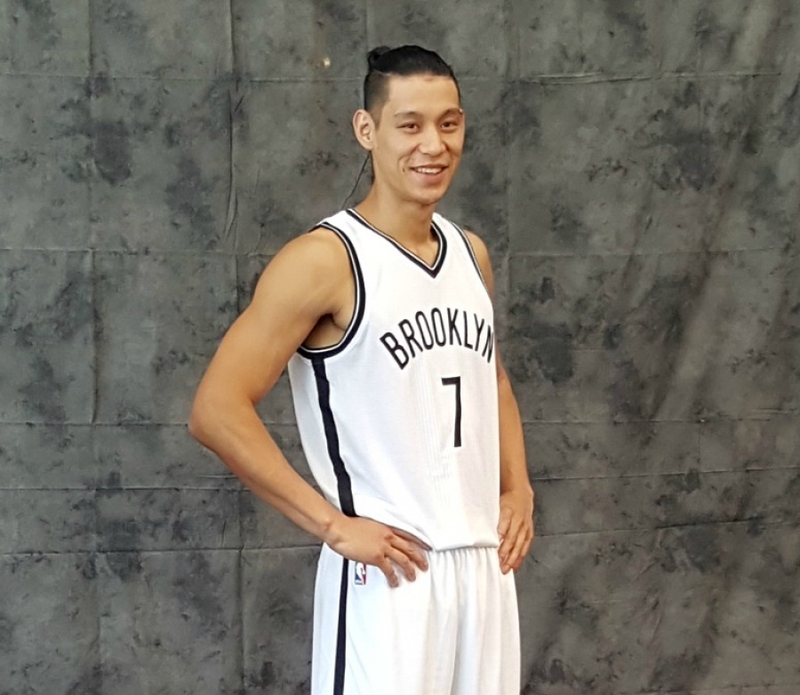 You can relax Brooklyn Nets fans, you’re in! Your team made the playoffs. 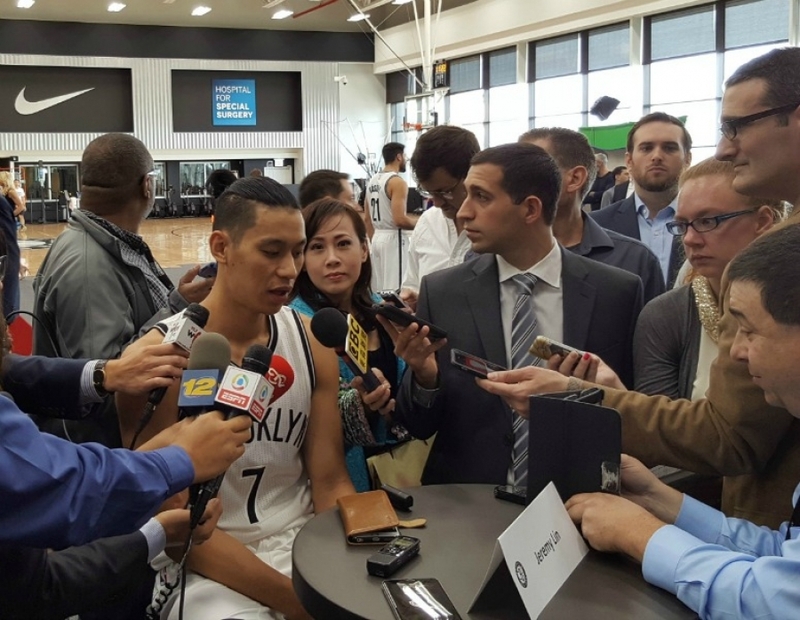 At the expense of an up-and-down year, injuries and not having the pleasure of controlling their own fate, the Brooklyn Nets qualified for the 2015 NBA Playoffs, which is more than we can say about the other team across the river. But we won't go there, these are happy times and with the Nets 101-88 win over the young and restless Orlando Magic, the home-team has given life to the Barclays Center for two more home games, and more, if necessary. The Nets improved to (38-44) to complete their 2015 campaign, while the Magic fell to (25-57), another trip to the lottery. And this feat only came into fruition when the Indiana Pacers, scheduled to play two hours before the Nets tip-offed against the Magic, challenged the Memphis Grizzlies and failed to mirror the same result, losing 95-83. As far as the Nets are concerned and their faithful fans, it's not the ideal method you would've liked for your team to make the playoffs but you'll take it. They did what they were supposed to do and that was simply handle their business against a team they were expected to beat. It didn't look that way early on in this contest. The Magic held minimal leads in the first half of this regular season finale and even led by ten in the third quarter, 65-55 with 8:22 remaining. At that point, the Nets seemed to turn the tables and made one final push, run towards saving their season which favored their efforts. An increase in defensive pressure forced missed shots an allowed the Nets to generate a 10-3 run, courtesy of Deron Williams, Brook Lopez, Jarrett Jack and Bojan Boganovic which cut the deficit to three, a 68-65 Magic lead with 5:41 left in the 3rd. More of the same would continue for the Nets to end the third, in which they tied the game at 75 all, into the 4th quarter where other Nets-not mentioned above, had their moments in contributing to the win. Mason Plumlee, off of an offensive rebound, converted the go-ahead basket at 81-80 with 9:33 left in the 4th, giving the Nets their first lead of the night since their brief 33-32 lead-midway through the 2nd quarter. Then Joe Johnson responded to a made layup by Magic big-man, Nikola Vucevic, regaining the lead on a running jump-shot, 83-82 at the nine minute mark. The game, at this juncture in time, reached that moment where the next-5 minutes would decide the victor, and fortunately for the Nets and the 17,098 fans in attendance, they executed during that stretch and out-shot the competition. 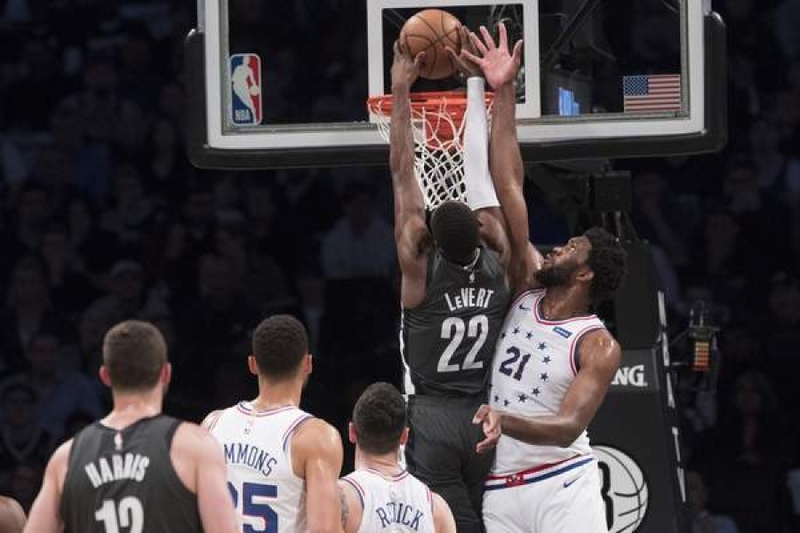 Thaddeus Young chipped in five points, followed by treys via Johnson and Bogdanovic and before you knew it, the Nets were up 98-86 with three minutes remaining in the 4th quarter, providing relief among the fans and especially their head coach, Lionel Hollins. "I am just thankful that our guys stepped up and did what they had to do," said Hollins during his post-game press conference. "That is the only thing that they had control of, was going out there. I thought that this was a big team win." I mentioned various names who played an integral role in this game because they all mattered. 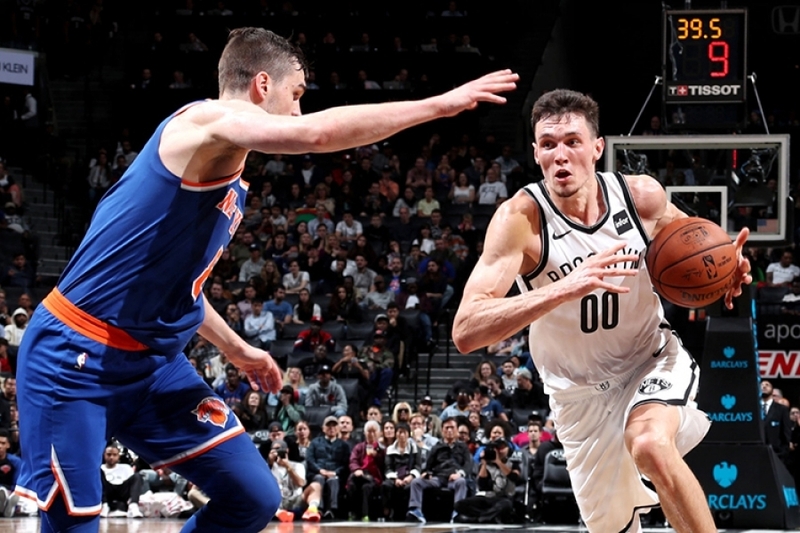 Five players for the Nets finished in double-figures, featuring: 16 points by both Johnson and Young, 14 from Brook Lopez, 10 by Williams and a team-high 28 points by Bogdanovic, including four of eight from three-point range. "It's a nice feeling to get a career high but it's not most important thing for us," said Bogdanovic post-game. "We have to wait for the other game to be in the playoffs. And I hope that (Indiana win) doesn't happen." I think the most important thing that didn't happen was the Magic playing spoiler, a team who had nothing to play for. Those teams, lottery projected teams, pose the biggest threat to teams who aspire to make the playoffs, and last night, the Nets survived a dominating performance inside by Vucevic and another piece of the Magic's future in Victor Oladipo's 19 points. "I thought we did a good job of fighting, did a good job of keeping ourselves in the game," Oladipo said post-game. 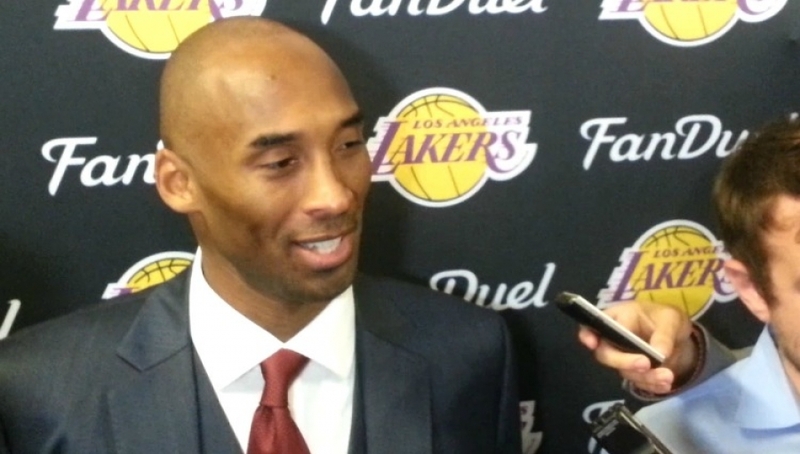 "Now we just gotta work hard, you know, get better, so we can make big plays down the stretch in fourth quarters." Andrew Nicholson even showed his versatility for the away team, knocking down a deuce of threes en route to 18 points. The Magic, a team rebuilding for a better future has a crop of respectable young talent and potential stars on their roster who will contribute to the star-power very soon, and because of that, Oladipo didn't dwell on the negatives, like the loss and the struggles of this season alone but the light at the end of the tunnel. "I think we have great attributes to our team, great players," Oladipo said. "...Individually (we) just have to get better and as a team, collectively, as well. It's going to be a big summer for us, a big offseason." Hey Nets fans, remember when your team mirrored this year’s Magic, three years ago? With the Nets win, they improved to 6-0 on the season against the Magic at the Barclays Center, in addition to finishing the month of April, 5-4, which proved to be the most crucial stat presently. The Nets will challenge the Atlanta Hawks in the first round of the NBA Playoffs, which begins this Saturday. And this starts a whole new holiday for me personally (April 18th-start of the NBA Playoffs). As much as an achievement that is, the Nets haven't fared to well against the no.1 seed in the Eastern Conference this season, the Hawks, also-known-as the second team to 60+ wins in the NBA. They don't have the blueprint to beat the Hawks, losing all four match-ups against the ATL this year and in close games. This isn't the Western Conference where 12 teams can legitimately challenge the no.1 seed, the Golden State Warriors in a seven-game-series. This is the same Eastern Conference that, in the pre-season, led me to believe that the New York Knicks could actually have an admirable season. We all know what happened there and unlike the Knicks play this regular season, the Nets will have to give it their all, and then some. The advantage the Nets have on their side going into the post-season is the fact that it’s a blank slate. Everyone starts fresh and its 0-0 all. What happened in the regular season no longer factors into the immediate future, a tournament style format which provides rest periods. The Nets have a chance like everybody else to upset the Hawks and like coach Hollins said in his post-game press conference, the Nets will have to figure out what the Hawks fail to do well and capitalize on it. And like all of Brooklyn, we are hoping the Nets can find a way to seize four more games, starting this weekend.